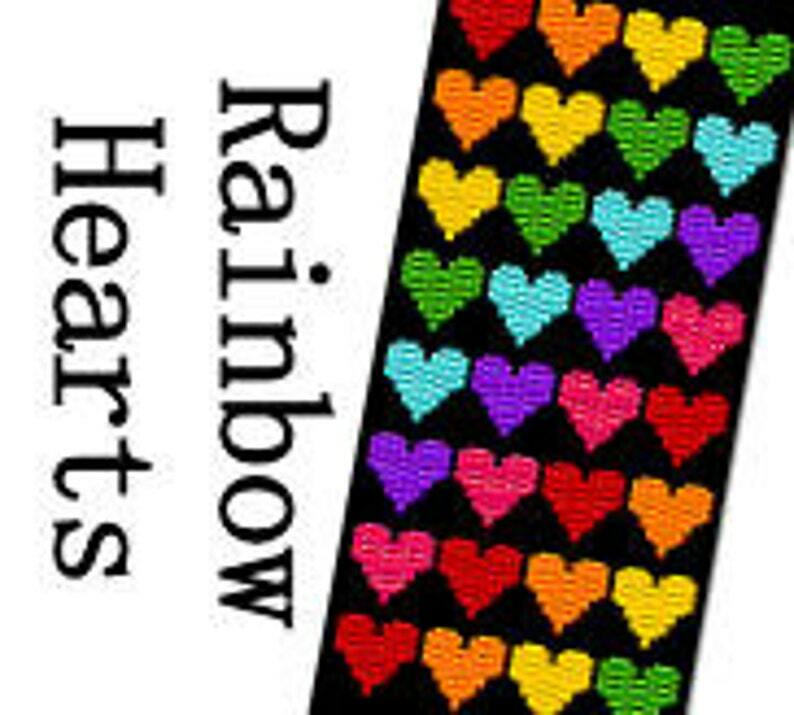 This peyote bracelet pattern is super colorful and beads up quickly using 3-drop peyote! 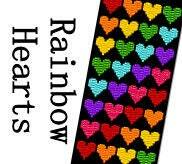 The rainbow hearts on a black background are fun for parties, raves, and anything you need a bright, bold piece of jewelry for! Instructions for 3-drop peyote stitch, and how to complete a bracelet or bookmark are NOT included with this listing, but can be found free of charge in many places online! If you need help with that, I would be happy to point you in the right direction!